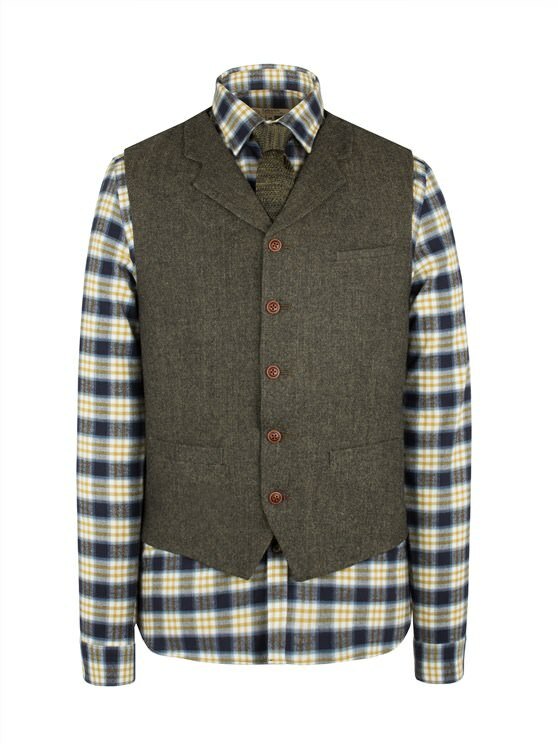 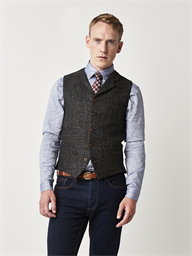 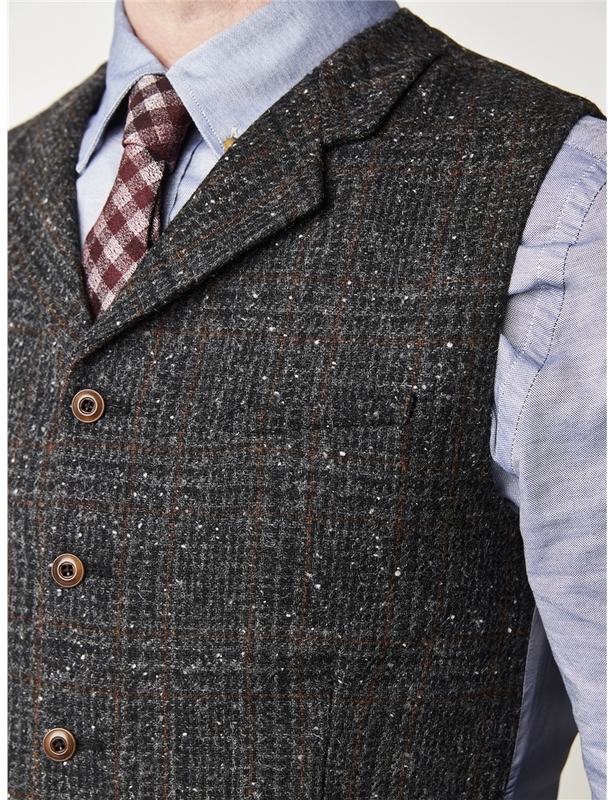 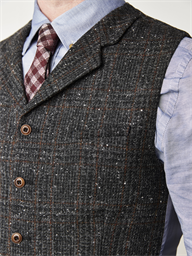 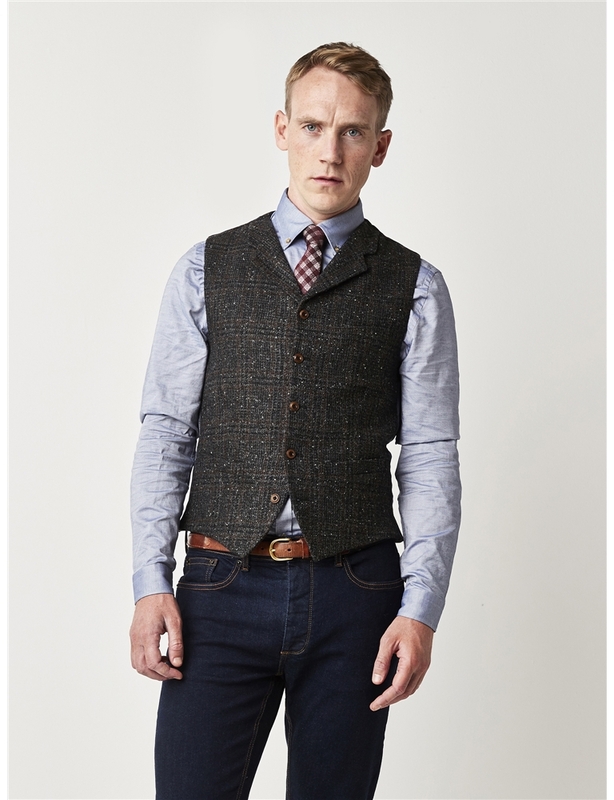 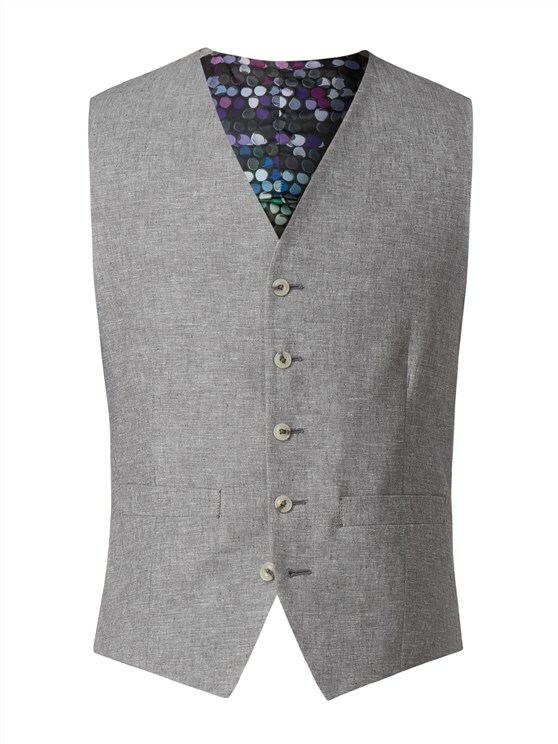 This two tone charcoaled texture Tyburn style waistcoat is a true signature style slim fit waistcoat for men. 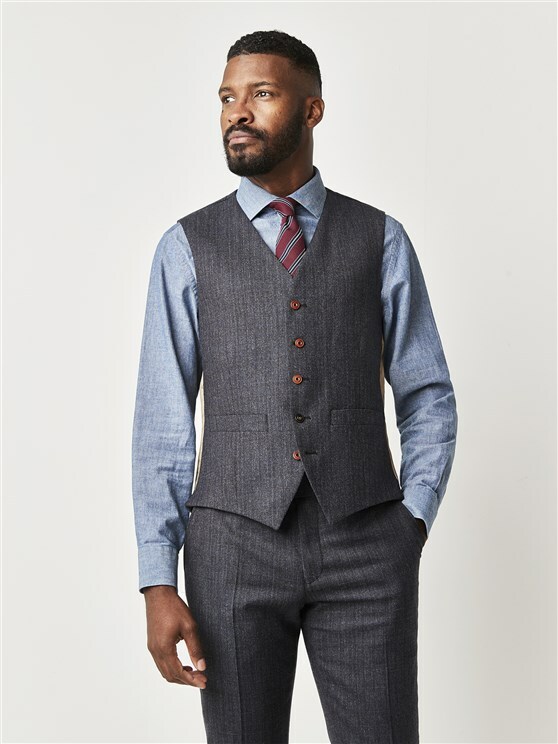 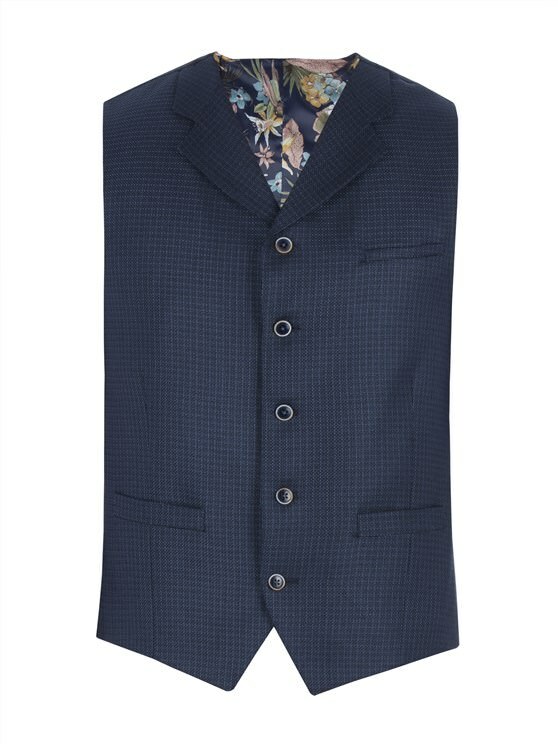 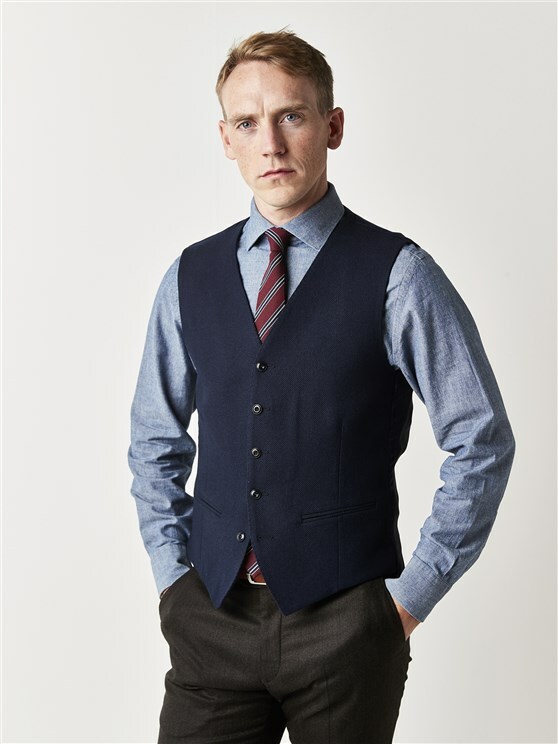 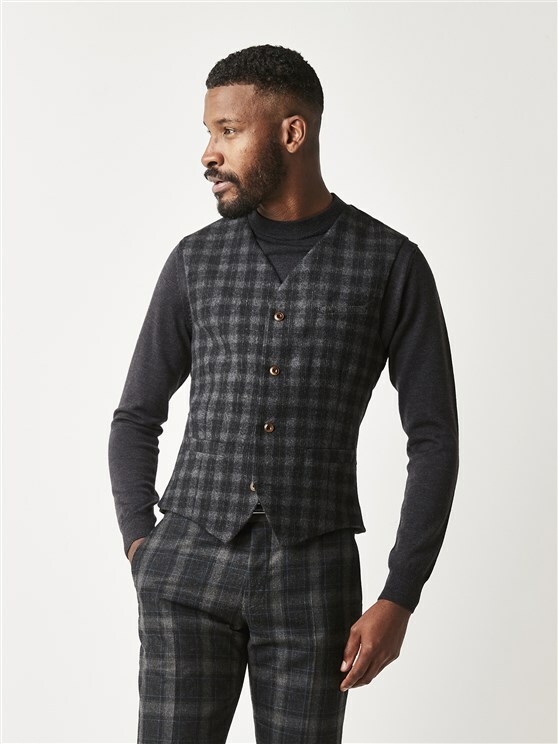 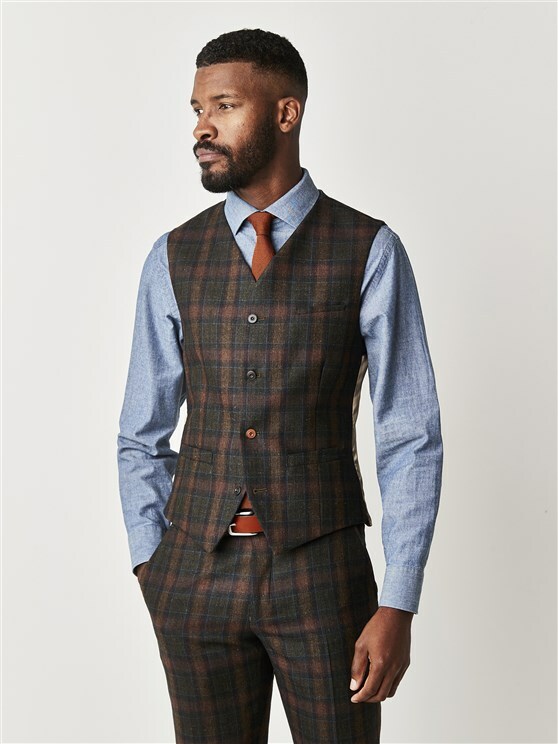 Featuring bold statement lining, and an adjustable back strap, this slim fit grey textured waistcoat is a perfect standalone piece for casual attire, or perfect to pair with a matching jacket to create a signature Gibson London look. 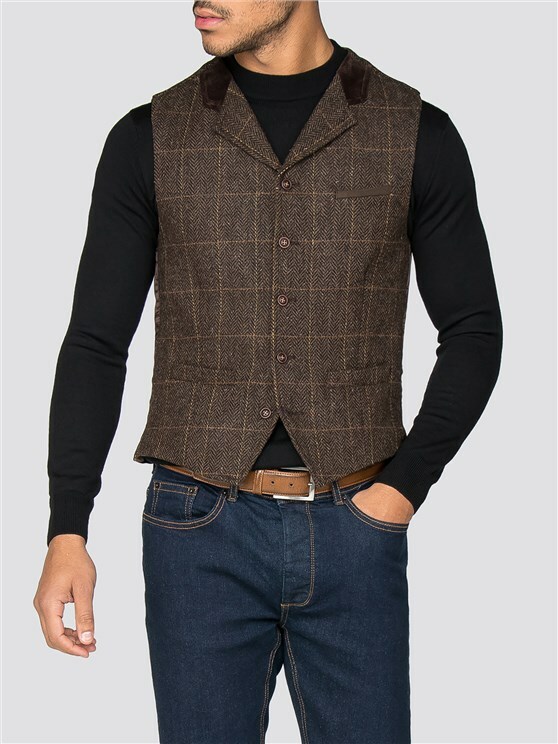 "Snygg och vÃ¤lskrÃ¤ddad i fin tweed"